Interest rates are now up about 1.25% from their rock bottom lows in October 2012 and again in May 2013. 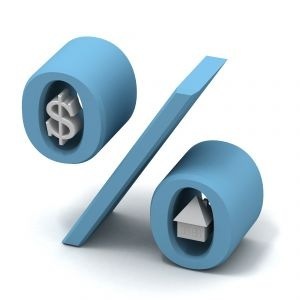 The inevitable interest rate increase from all-time lows is continuing. Following the Federal Reserve meeting last week, it seems that if the economy performs as expected, then the Fed plans to taper its bond purchases as early as later this year. Over the past few years, the Federal Reserve bond purchase program has helped mortgage rates drop and stay at historically low levels. However, even though interest rates are volatile, they do not move in a straight line up or down. They have been moving so fast the last few days, as a reaction to the Fed news of possible pull back that we may see some correction. However, that is conjecture, and anyone contemplating a mortgage these days needs to be aware that the mortgage market is highly volatile right now. It seems the Federal Reserve believes the economy is no longer in recession, and as a result the Fed has indicated that it appears ready to scale back its bond purchases. The rapid rise in mortgage rates has been shocking, but it had to happen at some point. To boost the economy during the financial crisis, the Federal Reserve undertook an unprecedented program to purchase enormous quantities of mortgage backed securities and U.S. Treasuries in an attempt to push rates down. Before the Fed started this program, rates were about 1.5% to 2% higher, so it looks like that is where we are headed again. We are already a good bit of the way there! So, what you are witnessing with the rise in rates is the market trying to determine the realistic range of mortgage rates without the intervention of the Federal Reserve. Lots of people try and guess the direction of the market and react in advance for their own benefit.. The market buys on rumor and sells on news. So clearly the market is signaling that it believes the Fed is done with this part of the stimulus. Now it seems we will see the market reconfigure to the new reality. Categories: Loans | Tags: Home Buying, home loan, home mortgage, home purchase, interest rates, paradisvalley, scottsdale, scottsdale loan officer, scottsdale mortgage | Permalink.